Proving that there’s still life for the MCU beyond Infinity War and the fourth, as-yet-untitled Avengers movie, That Hashtag Show has posted an update for its recent Spider-Man: Homecoming 2 casting scoop. As you’ll no doubt remember, THS placed Spidey fans on red alert late last month by revealing that Peter Parker was about to encounter a femme fatale of European descent. Such a casting call led many to assume that Marvel Studios and director Jon Watts were on the lookout for a young 20s-something actress to play the part of Felicia Hardy (Black Cat), neatly setting the stage for the character’s upcoming spinoff movie, Silver & Black. And though it makes a lot of sense on paper, we’re now learning that Marvel’s search is more specific, with sources close to That Hashtag Show suggesting that the Spider-Man: Homecoming sequel will feature a “Bond-girl type international agent.” So Jessica Drew (AKA Spider-Woman), perhaps? 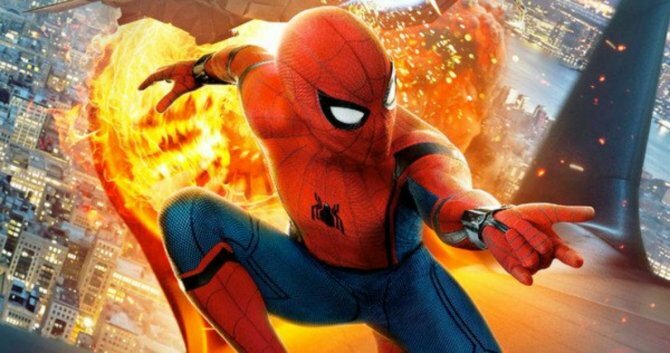 File this one in the rumor cabinet for now, as Spider-Man: Homecoming 2 is still incubating in the formative stages of development. Besides, Marvel’s main priority, for the time being, is the back-to-back launch of Avengers: Infinity War and its 2019 sequel, so it’ll likely be some time yet before the studio begins promoting Peter Parker’s next solo adventure. But let’s entertain this alleged scoop for just a moment: assuming Homecoming‘s sequel decides to fill the role of Jessica Drew, a former Agent of Hydra, it may well leave the door open for a full-blown Spider-Woman spinoff in the not-so-distant future. And that’s before we even consider Sony’s own fledgling Marvel universe, which is due to flicker into life later this year with the hardboiled Venom movie. Word is Tom Holland’s Parker will crop up for a cameo, but again, we’ll have to wait until the film’s release in October before we know for sure. Spider-Man: Homecoming 2, meanwhile, has been slated for July 5th, 2019.